Saw a ZTA sticker yesterday. Saw a ZTA and Delta Psi Chi at the ATL airport today. I was at Walt Disney World last week and saw a girl wearing a red Alpha Omicron Pi tshirt. I didn't bug her but got SUPER EXCITED. My boyfriend thinks I'm a weirdo. Did anyone else notice a certain winning Chicago mayoral candidate sporting what may have been a HUGE Alpha Kappa Alpha pin on the front of her outfit during her Tuesday night acceptance speech? Is Chicago mayoral runoff candidate Toni Preckwinkle a member of said organization, or was her pin extremely similar in appearance? Allllllllpha Kappa Allllllllpha Sorority, Innnnnnnnnnnnnnnnnnnncorporated! Three times imitated, but NEVER duplicated! One of my fellow teachers is an AKA. She is a lovely woman and a heck of a teacher! Anyone see this article? Not sure if it belongs here or not, but it's great! Hahaha...My sister is a Zeta, and her husband is a PIKE from the University of Florida. I'm sending her this picture. They're either going to cringe...or laugh. I'm not sure! 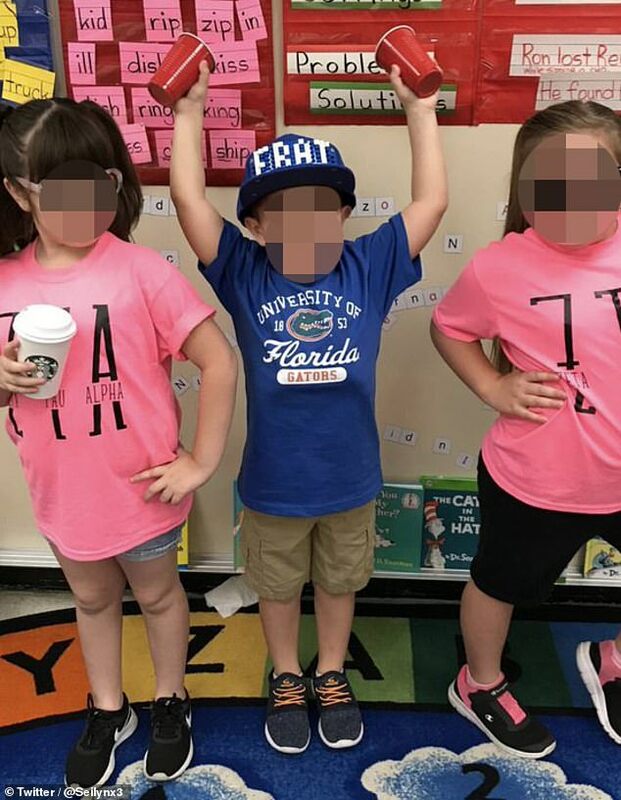 FWIW: even if the mom was confused about the "college day theme," who sends a first grader to school with red solo cups? This evening, I got caught in traffic behind a car that had a pink and green license plate frame: "AKA - In Christ". Only those who risk going too far, find out how far they can go. Just seeing this. Mom def missed the point, but this is funny. LOL...those little girls have the "skinny arm" pose down; but, the photos would have been even more epic if they had done the "sorority squat".